Manchester United are showing a keen interest in signing Harry Maguire and are ready to test Leicester City’s resolve with a £65m bid this summer, according to the Daily Mail. Jose Mourinho has signed three new players so far during the summer window with goalkeeper Lee Grant, right-back Diogo Dalot and midfielder Fred all arriving in recent weeks but the United boss knows he needs to further strengthen in order to compete with Manchester City next season. A new centre-back is seemingly on the agenda as doubts continue over Chris Smalling and Phil Jones while there is interest being shown in Victor Lindelof and Eric Bailly so it looks like Mourinho is ready to revamp his defensive options. 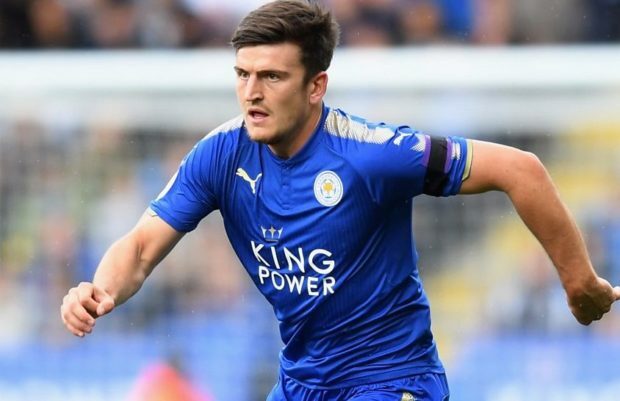 Maguire has emerged as a target with the Daily Mail claiming Mourinho has shown a keen interest in the Leicester defender and United are ready to launch a £65m bid to lure him to Old Trafford. The 25-year-old has enjoyed a meteoric rise since coming through the ranks at Sheffield United as he made his name during a three-year spell at Hull City before making a £17m move to the King Power last summer. Maguire continued to forge a reputation as one of the best centre-backs in the Premier League last season and he carried that form in to the World Cup as he was one of England’s star performers en route to their semi-final appearance in Russia. The report says Leicester are trying to tie Maguire down to a new long-term contract worth £75,000-a-week but know he could leave as the defender could earn far more at United so they’re already on the look out for potential replacements. We’ll have to wait and see how things progress but as much as Leicester will be desperate to keep hold of Maguire, they may find it difficult to resist if United do come calling with £65m as that would give them a huge profit just 12 months after signing him.